View from the Top is a new column from Ultiworld Disc Golf examining the shots that make and break contenders at PDGA Major, National Tour, and Disc Golf Pro Tour tournaments. Here you’ll find in-depth analysis of the most recent coverage combined with historical perspective, statistics, and POV interviews with professionals and media. This week I take a look at Eagle McMahon’s performance on hole 10 in the final round of the Beaver State Fling. 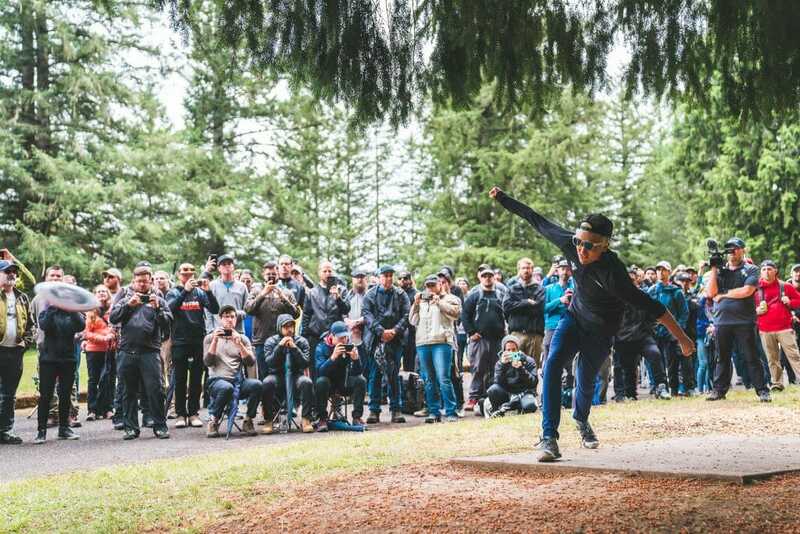 Eagle McMahon won his third PDGA National Tour event of the season at the 2018 Beaver State Fling. Over the course of the weekend, he only recorded two bogeys, both during Friday’s second round, and played his final 36 holes bogey-free. Per UDisc Live’s metrics, he rebounded from a poor Circle 1 (C1) putting performance at the San Francisco Open, improving by 15 percentage points from 79% to 94%. If not for a chuckle-worthy cut-through on the 72nd hole — only humorous because the tournament was already in hand — he would have been perfect within C1 on Sunday. Equally important, he improved his scramble success rate from 67% to 94% — his only failures to save par corresponded with his two bogeys, otherwise, he was 100% for the tournament. The BSF is known for tight scoring. True to form, opportunities for separation were hard to come by on Sunday. 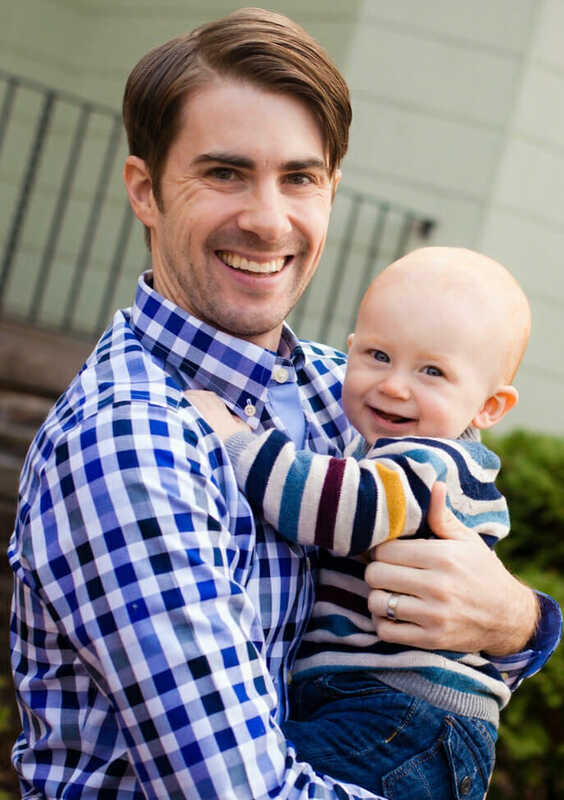 When the lead card made the turn, Garrett Gurthie and McMahon were tied for the lead, Simon Lizotte trailed by one, and Drew Gibson was two off the pace. Paul Ulibarri, hoping to play spoiler from the chase card, trailed by one, though PDGA Media Coordinator Steve Hill reports that McMahon wasn’t following the leaderboard. Walking off the 10th green at Milo McIver East, McMahon had opened up a two-stroke lead on the card. Double G teed off first on hole 10 and bombed a flex shot down the road. Inches from perfection, his disc skipped off the road, struck the curb, and remained out of bounds. McMahon was second on the box and didn’t even test the road. Ian Anderson of Central Coast Disc Golf was filming from the A Cam (behind the players) and speculated that McMahon decided to play more conservatively after watching Gurthie’s drive. Assuming the tactical revision, McMahon appeared to overcompensate, releasing low and left. In each of McMahon’s previous three tournament rounds captured on video from the East course dating back to 2017, he drove over the road. Compare his perfectly executed tee shot from the second round to his attempt in the final round. Gurthie’s drive in 2018 was a near carbon copy of McMahon’s from last year when he threw O.B. on his tee shot. In 2017, McMahon flipped his PD2 ever so slightly and his drive drifted wider right than intended, past the centerline of the road. It hyzered back toward the fairway late and struck asphalt inches from the base of the curb, ricocheting off the vertical concrete and skidding across the blacktop O.B. Eight inches higher, he clears the curb in the air; two feet farther into the road, like his cardmate Nate Doss, he likely skips back in-bounds. Throwing three, McMahon opted to lay up and play for bogey. He entered the hole in third place, four behind leader Paul McBeth and three behind Wysocki. Both birdied, and the resulting two-stroke swing virtually eliminated McMahon from contention for the win. Gurthie followed in McMahon’s footsteps this year, laying up short of the island and conceding a likely bogey. The island rules at BSF encourage risk-taking. If you hit the green but finish O.B., you take your mark from where you were last in-bounds. McMahon decided to be assertive and run the green with a low turnover. You may recall that last September, McMahon was still looking for the first signature win of his career at the Vibram Open. He played his way into contention from the chase card on a rain-soaked Sunday and sat 8-under par heading into the final hole in regulation at Maple Hill. A capstone birdie would force Wysocki to play for the three in order to win outright. After a perfectly placed drive, McMahon was left with a putter shot onto the island green – a gentle anhyzer over the short-side rock wall and under the canopy – but his nerves got the better of him. He pulled his shot right on an aggressive anny line which left the approach short, bouncing off the wall O.B.. In an emotional outburst, McMahon punched his right hand into his left twice and, his face exuding disappointment, and he chastised himself harshly. It seems unlikely that the memory of this shot crossed McMahon’s mind as he lined up his approach on hole 10. Based on the degree of technical difficulty, it appears significantly more difficult, though the pressure to execute in that moment was somewhat less. The specific comparison comes upon reflection. McMahon is playing with a newfound confidence and seems less inclined to succumb to nervous breakdown. But did his drive betray lurking anxiety? The next throw would be a statement shot, for better or for worse, and his intensity was manifest as he let it fly. McMahon’s disc barely cleared the curb, checked up on the slope below the basket, and nestled under the pin for a drop-in birdie. While it was not officially a scramble per UDisc Live’s metrics, it probably felt like one. In the CCDG commentary, Cory Murrell remarked, “that’s a championship level throw.” Indeed, McMahon stood atop the podium not long after. Throwing a less-than-ideal drive? Missing the island green at Vibram? Driving O.B. in 2017? All are water under the bridge. His approach shot on hole 10 is representative of the precision he demonstrated throughout the tournament, the maturation of his mental game, and his champion’s instincts. Eagle McMahon has emerged as the player to beat in 2018 and looks to continue his hot streak this weekend at the Utah Open. Comments on "View From The Top: McMahon Masters Milo"